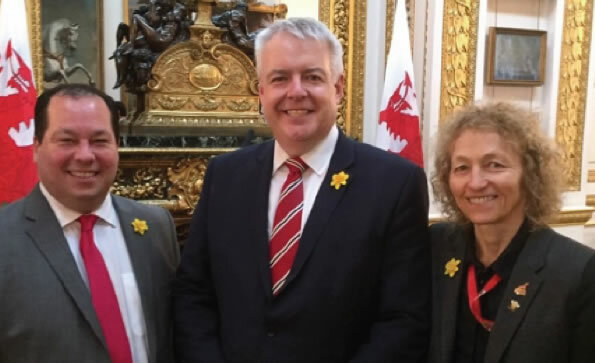 On Wednesday 1st March I was proud and honoured to attend the St. David’s Day Reception at Lancaster House hosted by the First Minister of Wales Carwyn Jones. 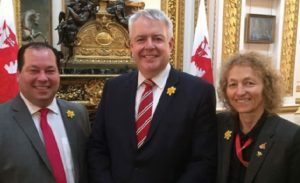 I was joined by my Shadow Wales Minister Gerald Jones MP, and we were both delighted to hear how the Welsh Labour Government had been promoting Wales across the world. The event was a great opportunity to highlight Wales and its achievements to many foreign diplomats and business people, based in London but with an interest in Wales.